There is less violence in the world when people Recycle. We only have one earth so if we recycle we can save our resources. If we beautify the earth by picking up trash then this earth would be a very good looking place to live in! Go to http://www.stelabella.com/ to find stylish bags that have been recycled. 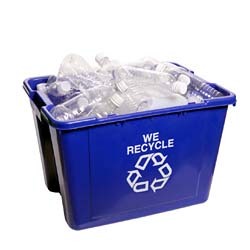 Ok everyone, we know you've tried and tried to recycle, we also know that some of you have failed. Here are my little words of advice. There are few things that have always and will always happen in my household. One is that we don't throw away zip lock baggies, we wash them and then store then in a drawer till further use of them is required. Because, guess what all you that throw them away, they can still be used! They are perfectly fine, if you want to be sure, wash them yourself. I'm very sure your mom will appreciate it! Also, along the same lines of your own little homeland recycling, reuse the plastic containers that you get cottage cheese and stuff like that too (sorry to the vegans if that offended you, IDK, do you eat cottage cheese...?). Also those plastic bags you get at grocery stores! Recycle those, don't be wasteful!! Not really for teens but just for you I will work on my own list and post it as soon as I can!